After discovering the profound benefits of pure essential oils, Don Gary Young sought to share them with the world. Though Young Living Essential Oils and the D. Gary Young Foundation, Gary Young has helped hundreds of people worldwide overcome obstacles and lead a healthy lifestyle. Through Gary Young’s unique Seed to Seal® production process, Young Living Essential Oils produces the world’s purest and most effective essential oils. The Seed to Seal® process is a five-step process that surpasses international standards. All of Gary Young’s seeds must adhere to this rigorous process that analyzes the seeds at every step. The process begins with the expert evaluations that verify the seeds’ potential to produce high-quality essential oils. Then the seeds are cultivated using sustainable methods to ensure they exhibit superior quality. Using diverse methods and gentle, proprietary techniques, the essential oils are extracted from the seeds. Once distilled, the oils are tested to ensure they meet Gary Young’s stringent requirements and contain the optimal levels of natural bioactive compounds. They are then sealed using great care and shipped out to hundreds of people around the world. 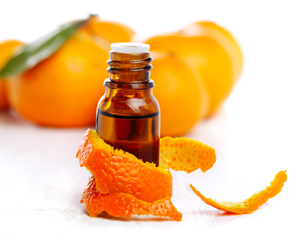 For thousands of years, essential oils have been used for their health, cosmetic and emotionally uplifted properties. Thanks to Gary Young, hundreds of people worldwide are reaping the powerful benefits of pure essential oils. These oils from Young Living Essential Oils improve one’s emotional state, physical wellbeing, and spiritual awareness while refining their skin and purifying the home.